Sports sponsorship in India has grown by 14% in 2017. The growth data is revealed in the 2018 Sports Sponsorship in India report by ESP Properties, the entertainment and sports arm of Group M.
Media investments with 55% of the total spend during the study period have contributed to the largest chunk of the pie. Next, come ground sponsorships as sports advertising in India during 2017 reached ₹ 7,300 crores from ₹6,400 crore in the previous year. 2017 has been a milestone year in sports sponsorship market in India, as the billion-dollar mark was crossed for the first time. 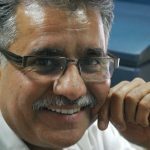 Even as demonetization and GST had hit overall ad expenditure in 2017, the sports sector has been able to ride the storm with a steady and positive trajectory. 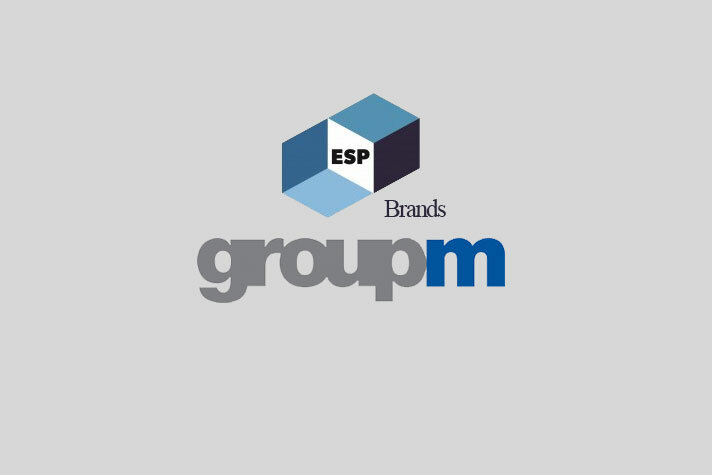 As per GroupM’s ‘This Year, Next Year’ advertising investment forecast, Indian advertising expenditure in 2017 was Rs 61,263 crores, and this report estimates that 12% contribution to the overall ad spends are from sports sponsorship alone. 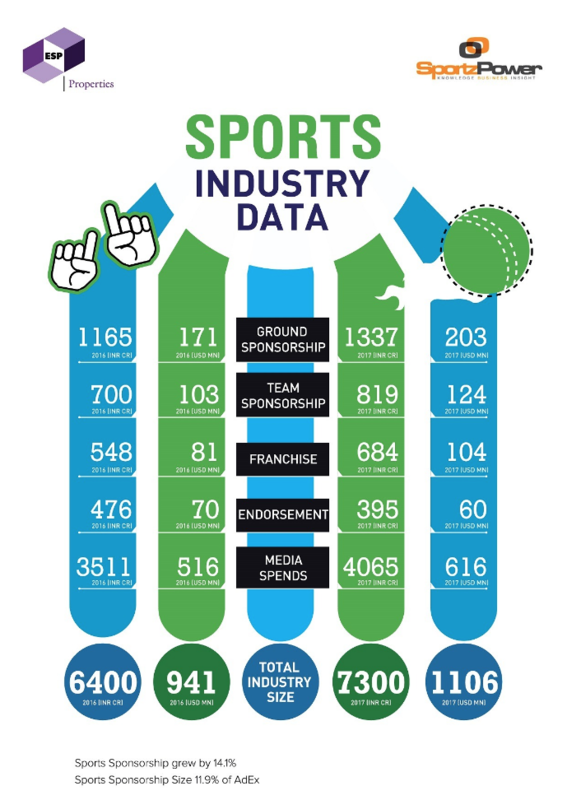 Interestingly, sponsorship of non-cricketing sports grew in 2017. India’s second biggest sport by participation and attendance, football grew by a considerable 64%. India hosted its first ever FIFA U-17 World Cup which became the most attended in the history of the event. Attendance for this Football World Cup was a record 1,347,133, surpassing China’s 1985 audience of 1,230,976. Since last year, ISL has become a 10 team, 18+ week showcase, up from 8 teams and 10 weeks in the last season. ISL sponsorship has grown by 22% from the previous year. The gap between PKL & IPL TV ratings is narrowing – PKL delivered 1.5 TVR with 312 million reach and IPL delivered 2.7 TVR with 411 million. Football has a tremendous reach in West Bengal, the North East, Kerala and Goa, similarly PKL delivers well in Patna, UP, Jaipur and Hyderabad among others. The year 2017 also saw the birth of five new franchise based leagues – UTT, SBL, SFL, Cue Slam and P1 Power Boating. 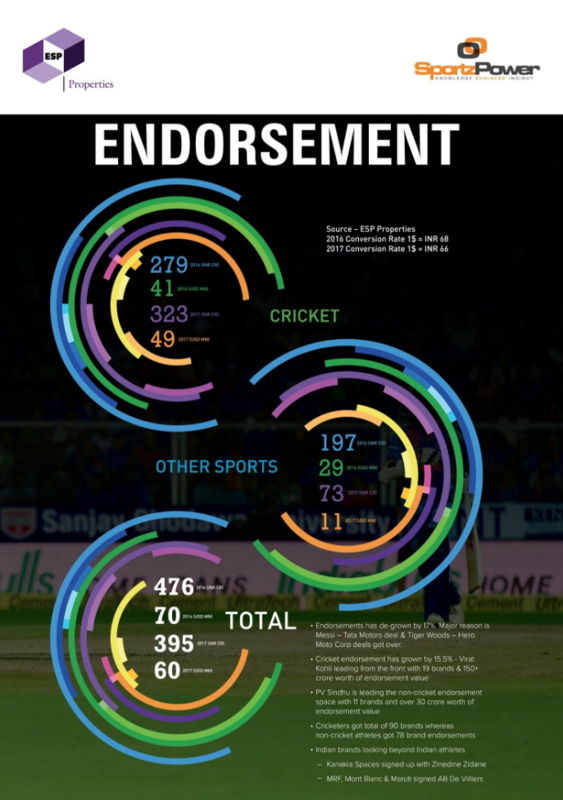 Brands are bullish about investing in emerging sports; 25% increase in franchise fees came from developments in other sports, as cricket remained unchanged. Thirty-six new franchises were added across all new and existing leagues. All major sporting leagues managed to bring on board sponsors at a 100% or more incremental value for the title sponsorship. Specifically, the IPL has emerged as one of the top five most valuable global sports properties in the world, according to the report. Talking about the report, Vinit Karnik, Business Head, ESP Properties, said, “2017 was truly the big year for the business of sports. 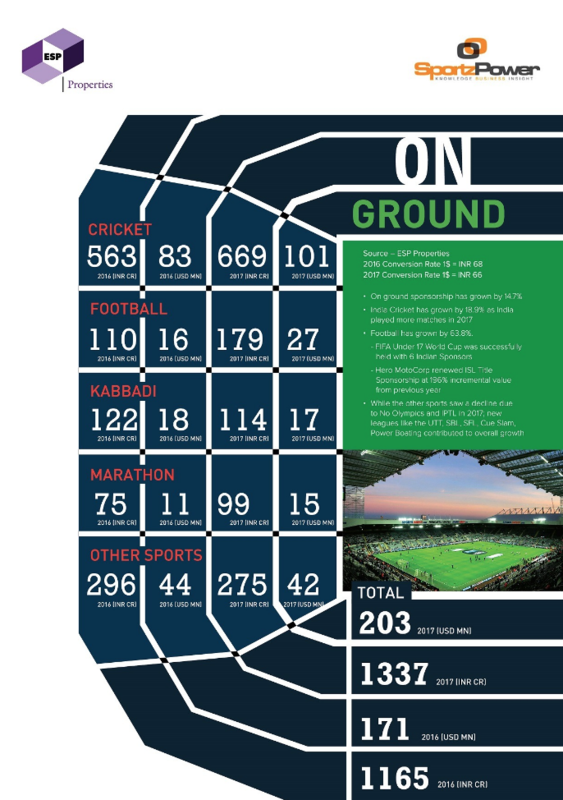 With Pro Kabaddi League emerging as the second-most popular league in India after the Indian Premier League, and the India edition of U-17 Football World Cup creating history in terms of audience attendance, sports sponsorship enjoyed a bull run. ESP Properties is a commercial and creative adviser for sports and entertainment rights holders, helping these organisations unlock greater value from their audiences and brand partnerships.